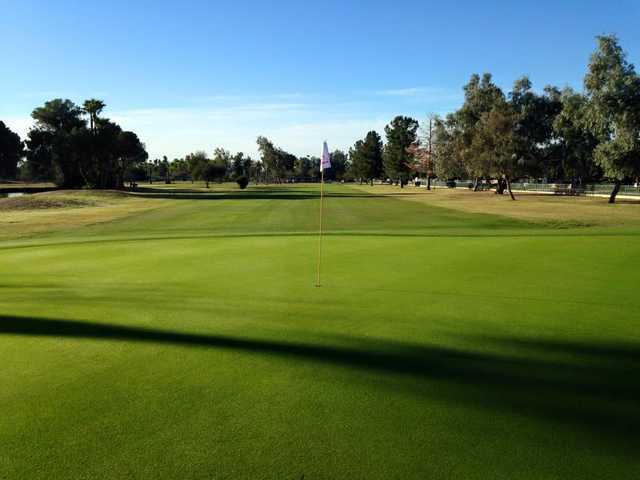 Palo Verde Golf Course is a nine-hole executive course located in central Phoenix. The course is a short and quick 1,820 yards but the sporty layout provides some good practice. The course has a lot of short par 3s but there are a few longer par 4s. A lake comes into play on the first three holes but overall the golf course is very player friendly. 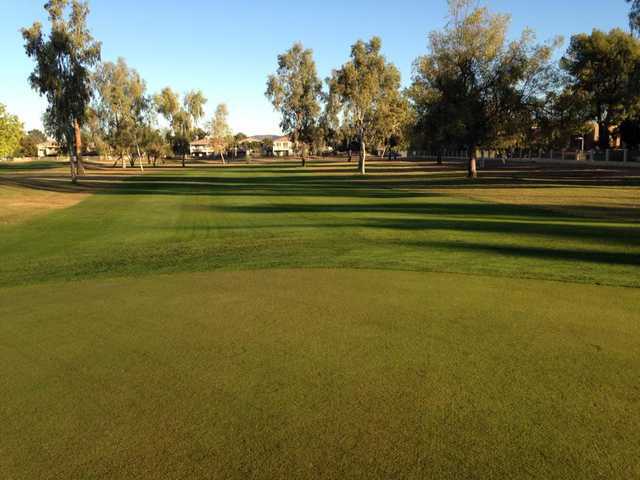 Palo Verde Golf Course is a nine-hole executive course located in central Phoenix. The course is a short and quick 1,820 yards but the sporty layout provides some good practice. The course has a lot of short par 3s but there are a few longer par 4s. 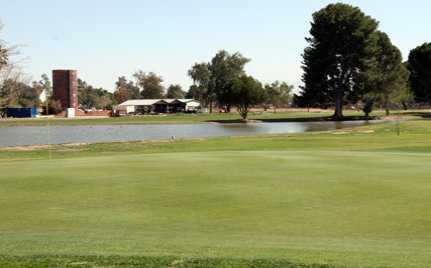 A lake comes into play on the first three holes but overall the golf course is very player friendly. It is ideal for beginners and junior players. While it may not be the most challenging round you've ever played, it is a great quick practice round. For even more practice, Palo Verde G.C. 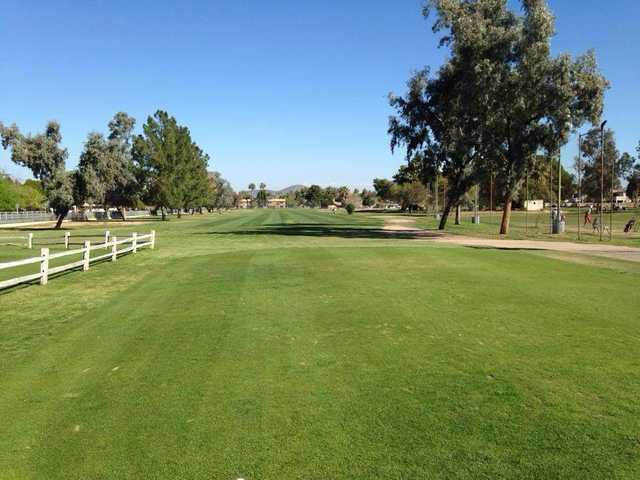 offers an equally popular lighted driving range that is all grass. The course and the range are a good value for the money, which is why it is popular among locals.